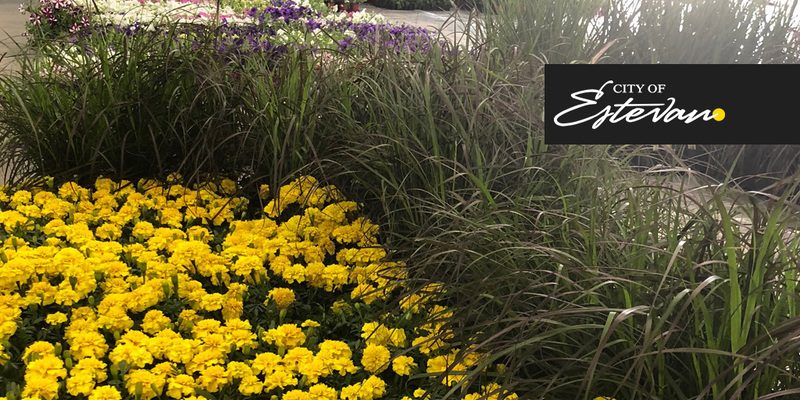 The City of Estevan, Parks Business Division invites your company to submit a tendered bid to SUPPLY AND DELIVER OF ANNUAL FLOWERS by Monday, Feb 4th @ 1:00 pm for the flower beds within the City of Estevan for the spring planting of 2019. The total number of plants required for the 2019 spring planting season is 5711 and detailed specifications for the types of plants required are available upon request. Delivery Date of Monday May 27, 2019 at 9:00 am at the Power Dodge Curling Centre. Unloading of product is the responsibility of the Company. Flowers to be in Full Bloom by June 15, 2019. Warranty must include: at the time of arrival the plants must be sturdy, healthy and have flowering buds or have started to bloom. Any weak plants that die in the first two weeks must be replaced. If the greenhouse doesn’t carry the exact species or type of flower, please indicated the type or species it will replace. Shipping and Handling. If shipping is not available, please indicate that in your tender price. Public opening of tenders shall take place at 1:00 PM, Monday February 4, 2019 C.S.T., in the Conference Room, Estevan Leisure Centre.